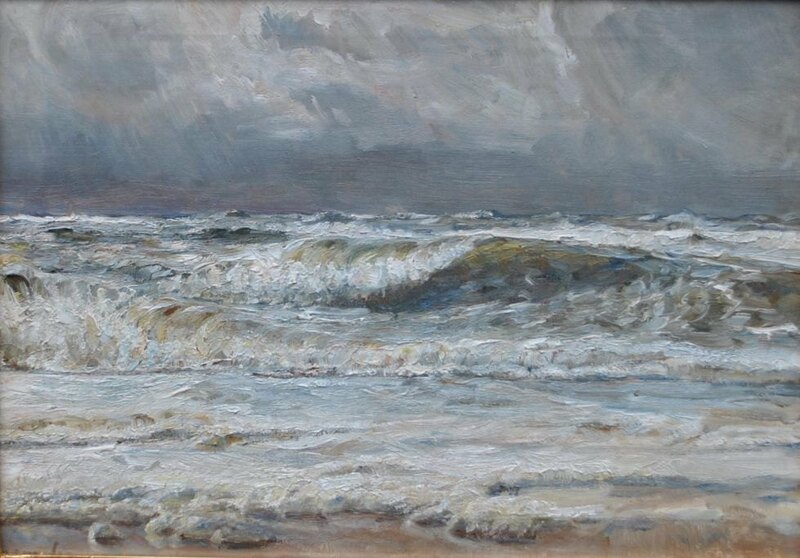 WorldAntique.net - Mols, Niels Petersen (1859 - 1921) Denmark: The North Sea at Søndervig. Mols, Niels Petersen (1859 - 1921) Denmark: The North Sea at Søndervig. Oil on canvas. Signed: npm 34 x 48 cm. Beautifully framed with gilded frame.